I've spent the night not far away from Geysir, but when the sun started coming up I decided that it wasn't as picturesque as I was hoping for it to be so I quickly drove towards Gullfoss. What a great decision this was! 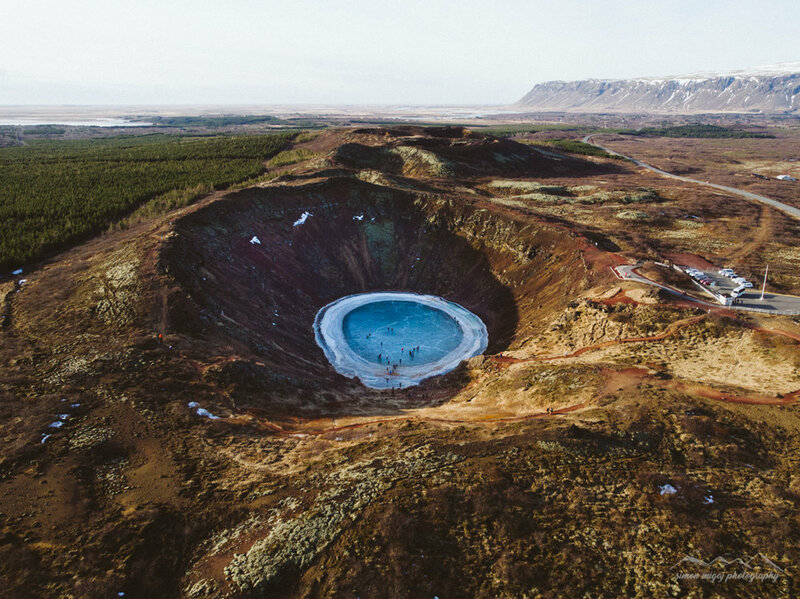 Ok, few words on the Gullfoss-Kerið-Geysir trio, which seem to be very popular destinations for big tourist groups staying in Reykjavik, being sold as part of "The Golden Circle" tour. I might be wrong, but there are waaaaay more exciting destinations in Iceland. 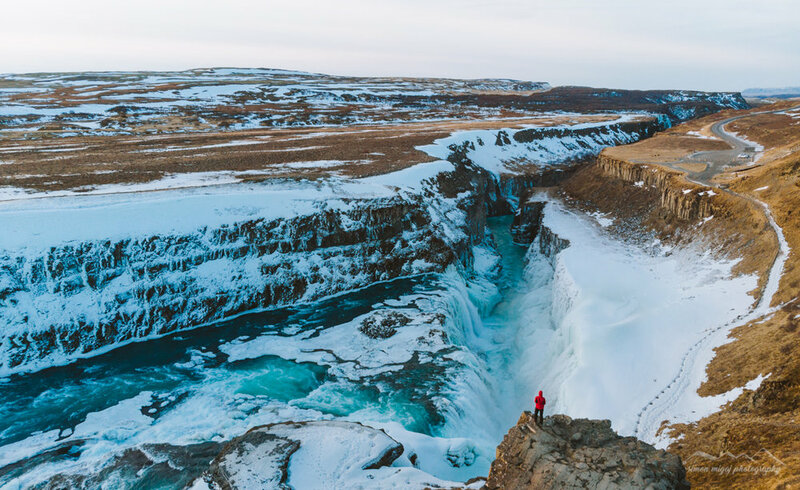 Personally I feel like Gullfoss is the only one worth seeing, but it fades in comparison to practically any other Icelandic waterfall. If you're thinking about joining a day trip to those destinations why not rent a car instead and drive a bit further to Skógafoss? This is a personal opinion, so please don't be mad in the comments. As I was already heading to Reykjavik to catch my plane I though this area will be a perfect spot for few more sunrise shots before I fly back home. 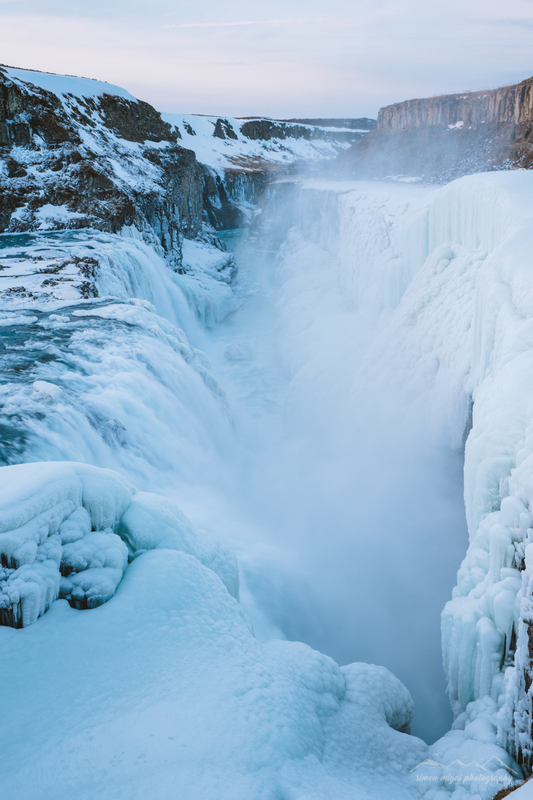 While Geysir and Kerið didn't seem to exciting, Gullfoss did make quite an impression, especially in winter, surrounded by snow and ice. When driving towards Reykjavik I stumbled across a horse riding school. 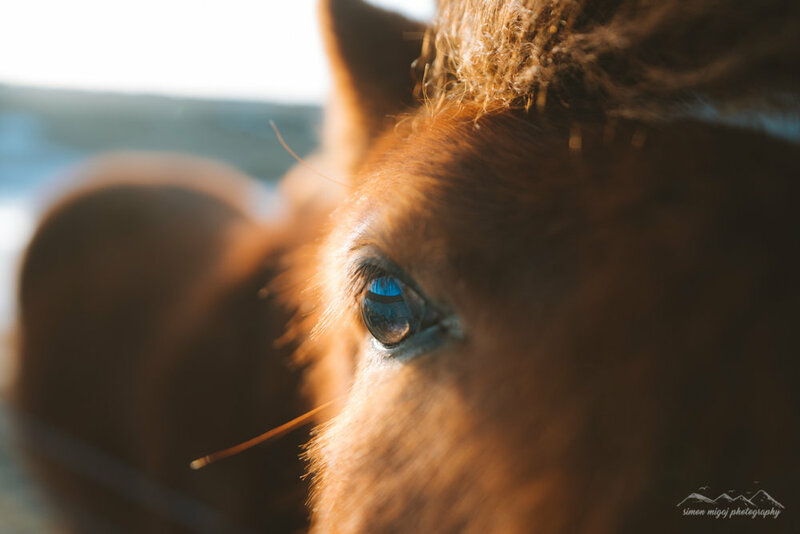 It's placed somewhere between Gullfoss and Kerið and their ponies are so lovely! From there I just made a quick stop at Kerið, just to see what all the fuss was about and it's a great spot, but be aware that you have to pay for entry and I'm getting a feeling that it looks best from the air. And that was it for my quick Iceland adventure. Feel free to ask me any questions and talk to you in the next one!